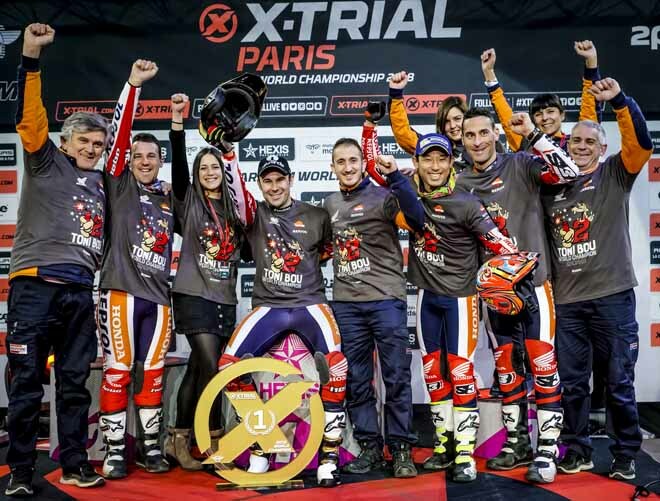 In front of 4,800 spectators in the AccorHotels Arena, X-Trial Paris saw two important highlights: a first career victory for Jaime Busto (Gas Gas) and confirmation of a twelfth World Championship title for Toni Bou (Repsol Montesa Honda). 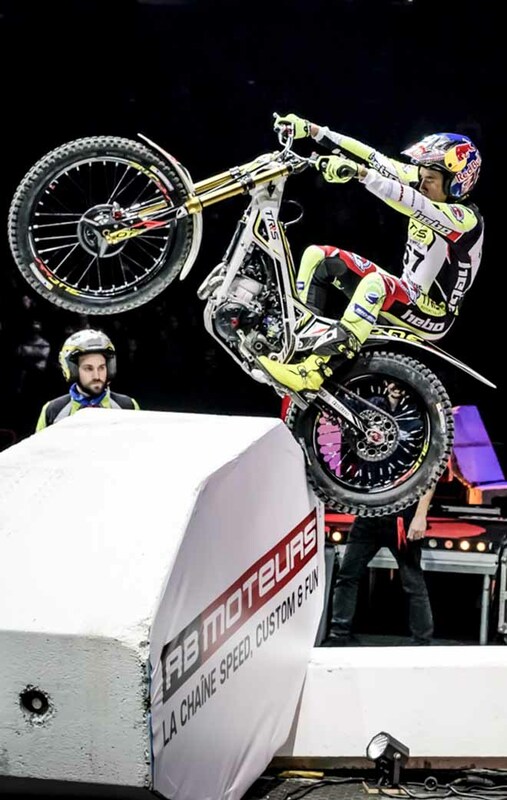 Bou returned to competition, but his result was affected by a severe vertebral injury. The final itself was decided in the final section and almost in the last second after a close fight between Jaime Busto and Adam Raga (TRS), the latter recovering since Barcelona from surgery to a tendon injury to his left arm. Both riders completed the first three sections clean, but a five-mark score for Raga in Section Five tipped the balance in Busto´s favour. 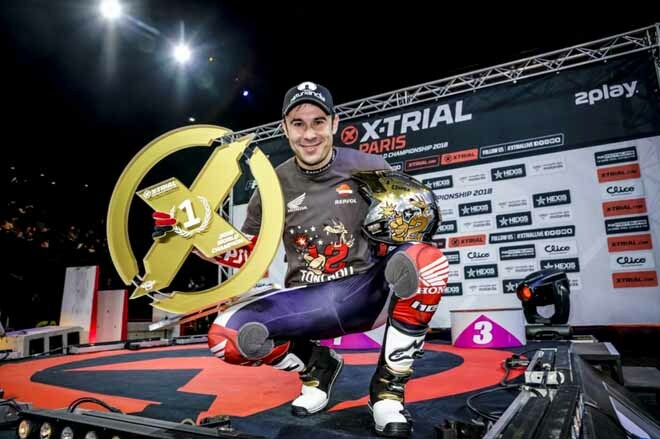 Busto continues his progression in the sport with a fine first career win, while with a runner-up position in Paris Raga secured second place in the Championship overall. 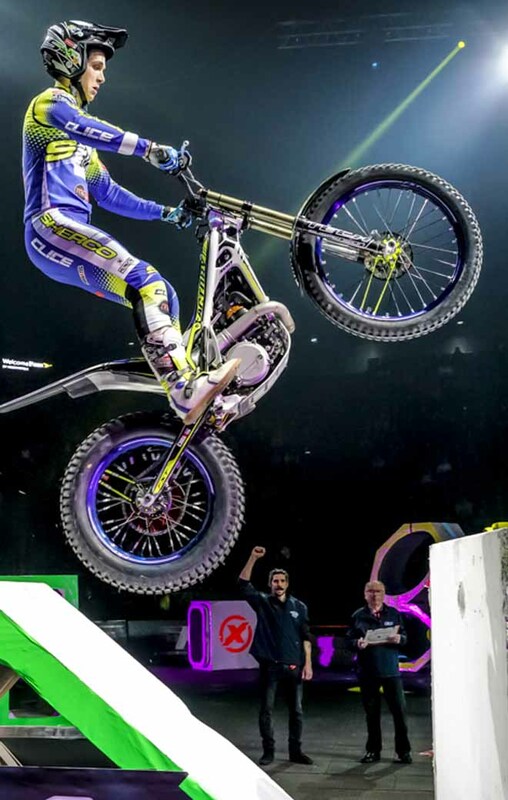 Returning to the podium for the first time since 2012, with third position in Paris, was Takahisa Fujinami. 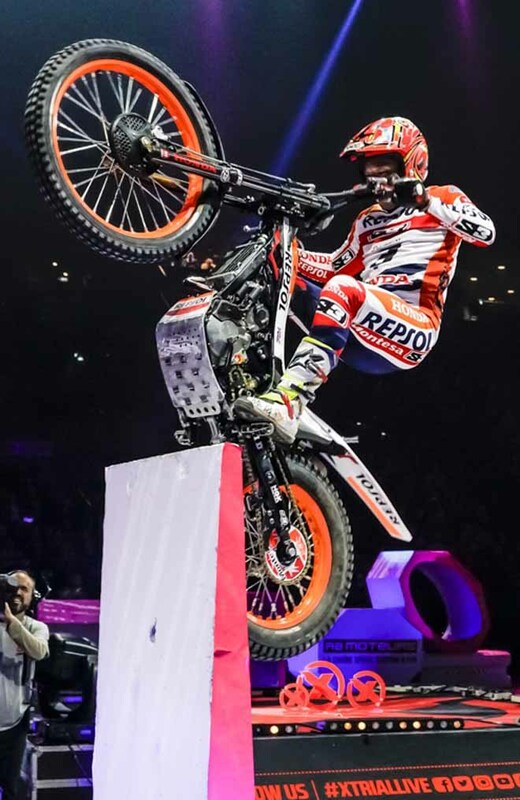 The Repsol Montesa Honda rider had plenty to celebrate in France, on a day where he also equalled Dougie Lampkin´s all-time participation record with a 135th X-Trial appearance. 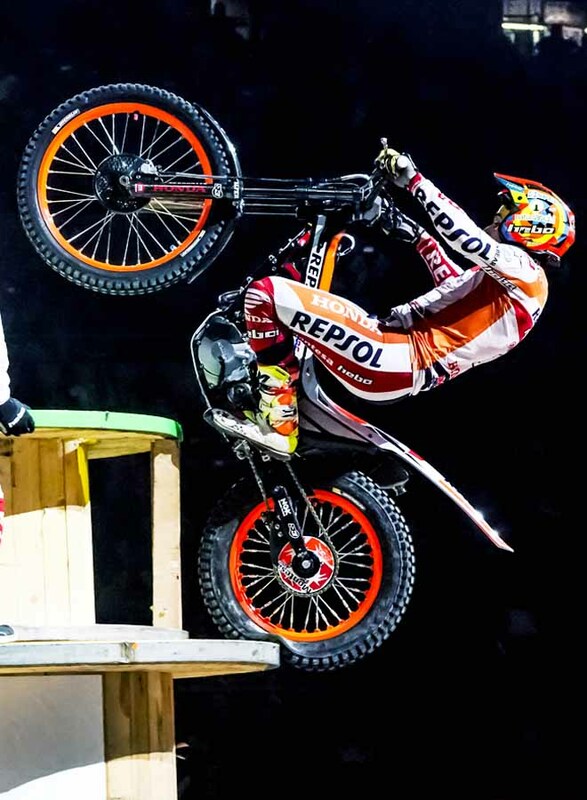 Toni Bou, meanwhile, realised an incredible feat of recovery to ride just 25 days since fracturing three vertebrae. 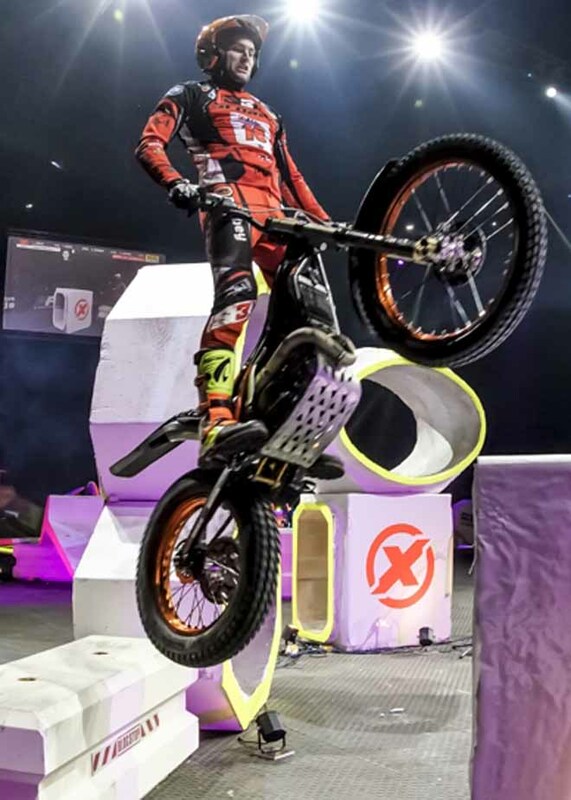 The Spaniard enjoyed a night of celebration having already secured his twelfth X-Trial World Championship, but was unable to ride to his usual high standards. Despite finishing top on the opening lap, his injury stopped him from making further progress, and he bowed out fifth in Round Two. 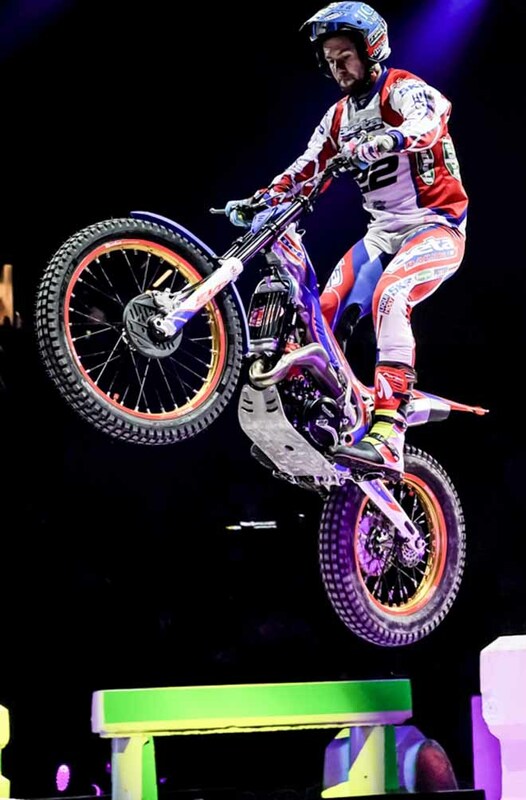 Ahead of Bou in Paris with fourth was Benoit Bincaz (Scorpa), who continues to display impressive consistency this season. 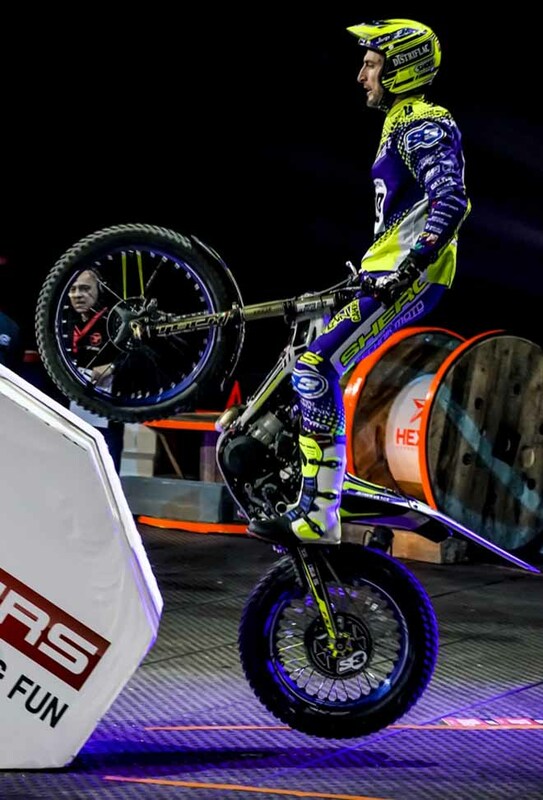 And Miquel Gelabert (Sherco) completed the six riders in Round Two, dropping back after qualifying second from Round One. 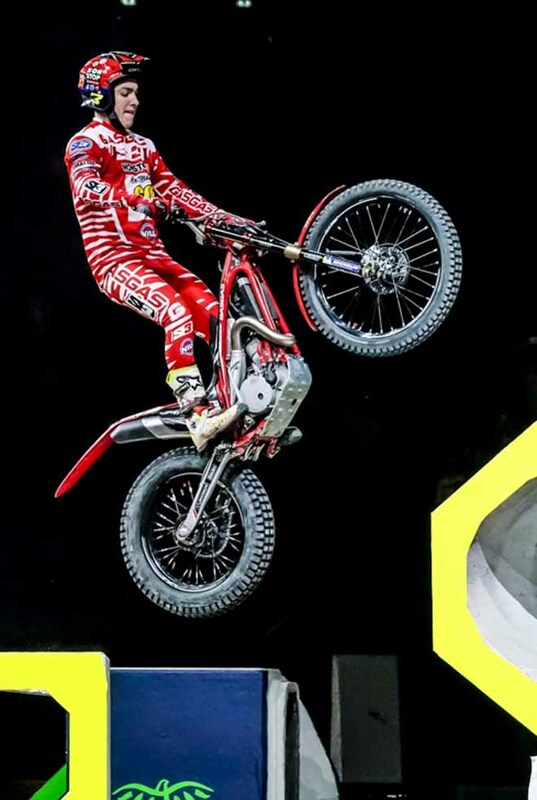 Alexandre Ferrer (Sherco), James Dabill (Beta) and Jeroni Fajardo (Gas Gas) made it no further than the opening round. 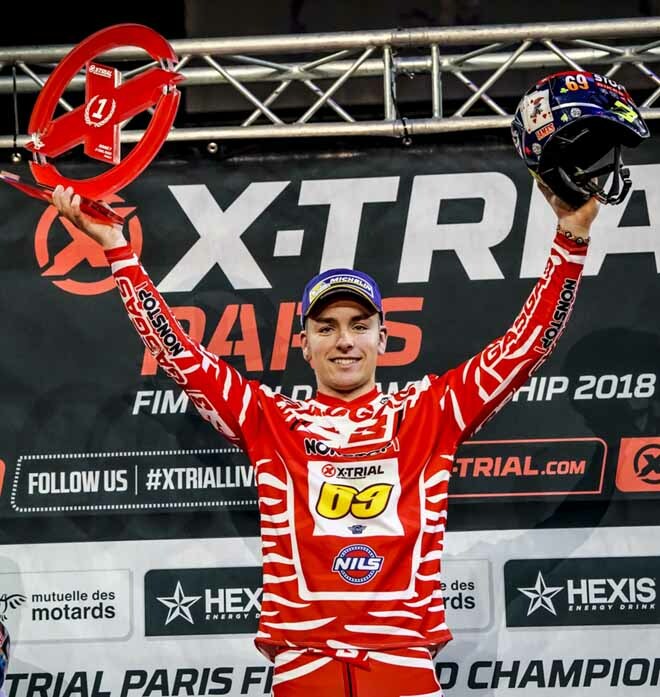 Adam Raga (2nd): “This second place is positive and satisfying, because the X-Trial was difficult and competitive right from the start, and the Final was decided by very little between Jaime and I. My arm is responding better and better to surgery, and I was still able to ride with my usual intensity even though it will still get better. 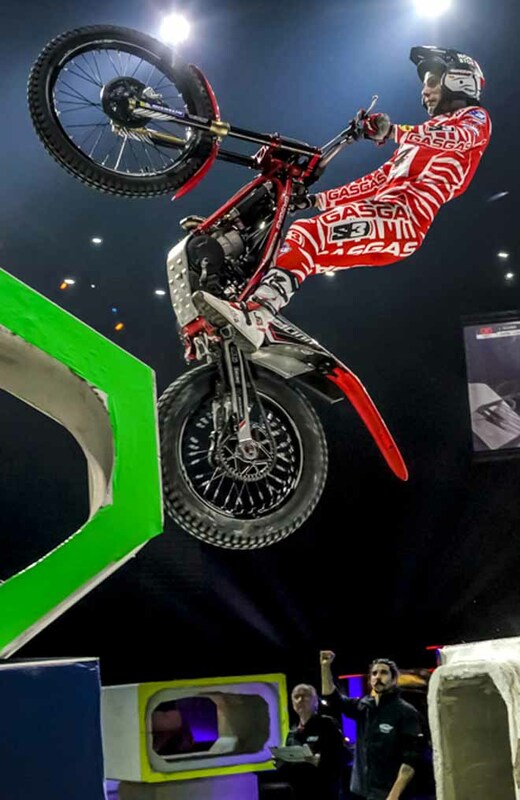 The final round of the X-Trial World Championship will take place in Budapest on 29th March, as Hungary welcomes the series for the first time.